“The end of the Endurance has come. But though we have been compelled to abandon the ship, which is crushed beyond all hope of ever being righted, we are alive and well, and we have stores and equipment for the task that lies before us. The task is to reach land with all the members of the Expedition. 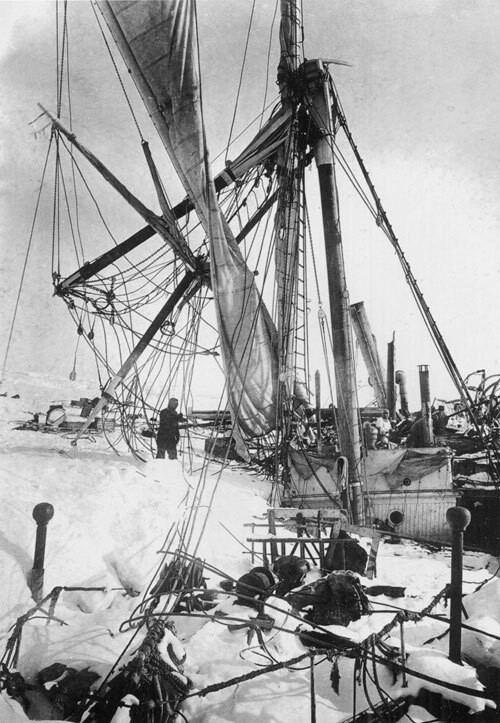 “The destruction and abandonment of the ship was no sudden shock. The disaster had been looming ahead for many months, and I had studied my plans for all contingencies a hundred times. But the thoughts that came to me as I walked up and down in the darkness were not particularly cheerful. The task now was to secure the safety of the party, and to that I must bend my energies and mental power and apply every bit of knowledge that experience of the Antarctic had given me. The task was likely to be long and strenuous, and an ordered mind and a clear programme were essential if we were to come through without loss of life. A man must shape himself to a new mark directly the old one goes to ground.